The team conducting the first-in-human clinical trial of deep brain stimulation for stroke recovery garnered $2.5M to continue parallel preclinical studies of the underlying mechanisms. Cleveland Clinic researchers have received a $2.5 million grant from the National Institutes of Health (NIH) to further advance their unprecedented use of deep brain stimulation (DBS) of the dentate nucleus to enhance motor rehabilitation in stroke survivors. The award supports continuing work in preclinical models to improve the efficacy and better elucidate the mechanisms of DBS in restoring post-stroke motor function. 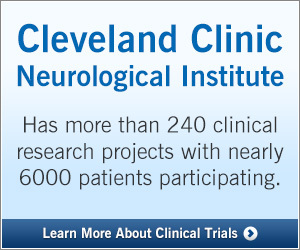 It will operate in parallel with the Cleveland Clinic researchers’ ongoing first-in-human clinical trial exploring the use of DBS to restore motor function in patients after a stroke (see previous Consult QD coverage of that trial). “Our working hypothesis is that low-frequency dentate nucleus DBS augments excitatory dentatothalamocortical output, and in the process increases cerebral cortical excitability, facilitating functional reorganization in perilesional cortical areas and further supporting motor recovery,” adds the other co-primary investigator, Ken Baker, PhD, of the Department of Neurosciences in Cleveland Clinic Lerner Research Institute. “The experiments proposed in the study to be funded by this grant will help ensure successful human translation of this promising novel treatment while also systematically examining its mechanistic underpinnings,” notes Dr. Machado, a neurosurgeon who is placing the DBS devices into patients participating in the study’s clinical trial component.